Is goat's milk better for your toddler? Does your child or toddler show signs of being sensitive to cow’s milk, or are you just looking for natural alternatives? Then it may be time to consider goat’s milk. 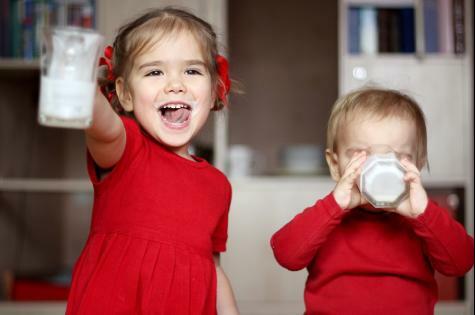 Toddlers who show a sensitivity to cow's milk, with symptoms such as colic, abdominal pain, bloating, diarrhoea and facial rash, are switching to goat’s milk as it may result in these reactions being reduced or even disappearing altogether. 1. Goat’s milk has unique properties that make it closer to human milk than standard cow's milk, such as Protein and fat structure, nucleotides and oligos. The amount of phospholipids that assist with brain development and gut health are found in similar quantities to human milk. 2. Many children that have cow’s milk sensitivities may find goat’s milk easier to digest. Higher proportion of medium chain fatty acids than cow’s milk which aid with Colonic health and digestibility. 3. The natural prebiotic oligos in Oli6 promote the growth of beneficial bacteria and reduce harmful bacteria like E.Coli. Prebiotic oligos promote good bacteria and reduce the incidence of bad bacteria like E.Coli to assist with gut health and digestion. 4. Oli6 is naturally high in essential vitamins and minerals that naturally aid growth and development. Goat's Milk naturally contains 10% more calcium than standard cow’s milk for teeth and bones. Australian owned and manufactured, the Oli6 formula adheres to the strict Australian regulatory guidelines, so you can be sure that you are providing your toddler with a delicious and nutritional product. 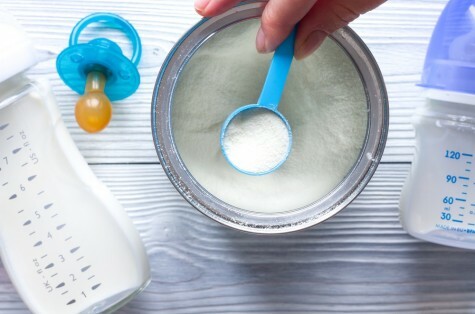 Some toddlers readily accept any formula being offered to them whilst others may refuse new products or take time to gradually transfer across. Slowly changing formulas is ideal when transitioning from one formula to another. Interested in trying goat’s milk for your toddler? Oli 6 has convenient sachets which are ideal when first trying your toddler on goat’s milk formula.